At Crown Upholstery, we’ve served our local Edmonton community for over 24 years. We’re family operated, and our owner has more than 35 years of experience in the auto upholstery and glass tinting industries. We love working on custom projects and giving our clients personalized service. 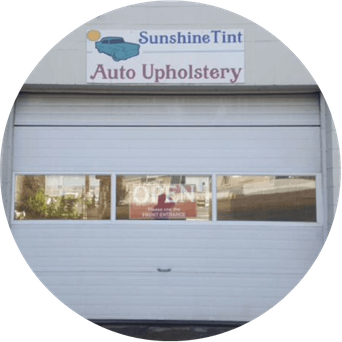 In addition to doing upholstery for cars and boats, we operate the sister business Sunshine Tint. We specialize in tinted windows for cars, and we also offer commercial tinting for businesses and residential tinting for your home. Window tinting has many advantages: it’s stylish, offers privacy, filters out harmful UV rays, protects against scratches and shattering, and even helps with regulating heat in the summer. After Crown Upholstery designs your interior, you can protect the fabrics from sun damage with tinting from Sunshine Tint! Book an appointment with Crown Upholstery and Sunshine Tint today!